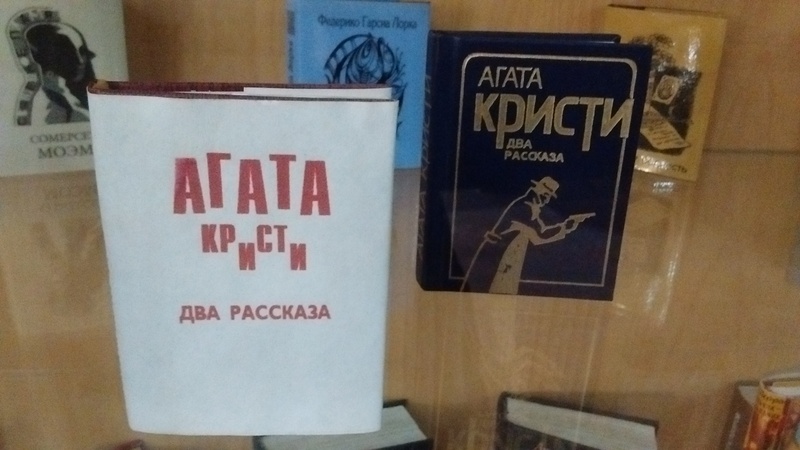 The miniature book museum in the old city part of Baku in Azerbaijan includes amongst the titles on display two tiny (less than two inches tall) editions of Agatha Christie, translated into Russian. For those of you unfamiliar with the cyrillic script, both bear the title Two Stories. Unfortunately, as the display is behind glass, I was unable to check which two stories were included and whether the two volumes contained the same pair of stories or different ones.